Let me know if anything pops up. Tension is allready there if i am correct, and power the solenoid with 28v. Try Nick at APHS. He usually have them but at high price. I've modified a real lever to fit FDS MIP. Had to change microswitches and mill a few new plates. Also cut it shorter. Seen one at APHS but too much for me. Hope to find one with reasonable price range. I am also interested in replicas if its OEM dimensions and look. If I were you, I'd buy one from Nick at APHS. Even though it might seem high priced, it actually isn't when you consider the time and cost to remove parts from the real planes. Besides, waiting for someone (another builder) to sell one (or whatever you may be looking for) can take a long time, so paying that little extra for items from Nick is well worth the "not" waiting forever to get one from someone else. I agree with John that the price is actually reasonable when you think about the cost of removal. Having watched the OEM resale market for 10+ years, I can tell you that the cost of these items has gone up dramatically the past few years. Nick is actually one of the most reasonable sellers of OEM parts at this point in terms of cost. I have to respectfully disagree with Jack that a reproduction model is just as good as an OEM one. In my opinion there is no comparison. I've had several reproductions (FDS, CockpitSonic etc), and they never seem to make the handle long enough to accurately reproduce the movement of the real thing. The OEM model is also really heavy duty, and gives a much more satisfying 'thunk' when moved from one position to another. 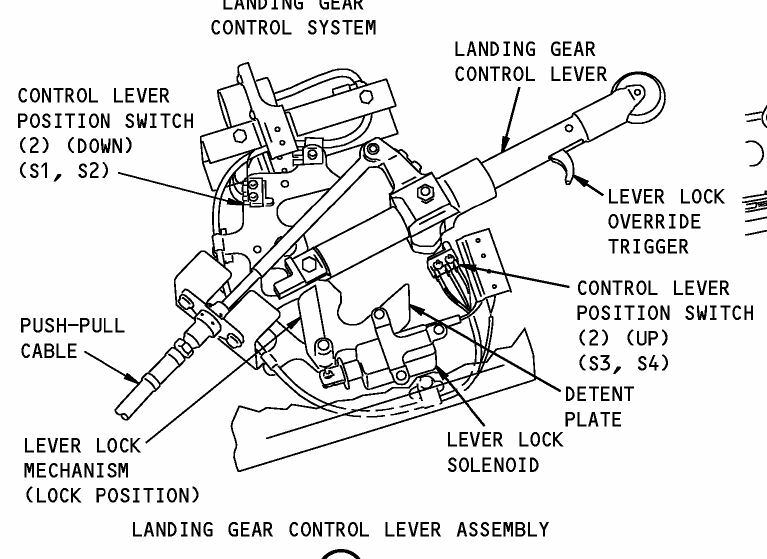 I don't know of a reproduction model with a working override trigger or solenoid, if someone does please correct me. In summary my advice is to save enough $$$ to buy one from Nick at APHS. You won't be sorry. Also if you want to make it completely NG-like, shorten the handle by 1"
OK OK Guys... you almost convinced me!! In the same boat here - been lurking for months for a OEM gear lever (assembly) on Ebay and Dutch second hand websites but was unsuccessful. And a one inch longer another version for 86 USD here here. I purchased the 86USD one and there seem to be more available. Upside is that you have full flexibility in fitting it in the MIP. For me this is the main reason, as I will have most freedom picking sizes to most optimal LCD screens for CENTER DU, PFD, ND in terms of resolution, viewing angle and contrast ratio. I don't believe that's an NG handle you're having over there. It seems shorter because the spring is fully released. If you take a look at actual NG levers you'll see that the rivets of the "wheel" part are very close to the red unlock trigger so not as seen on that eBay page. Might be wrong but to me it's just a very expensive CL handle. Page created in 0.383 seconds with 25 queries.